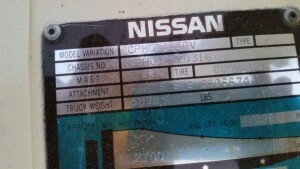 Where do I find my Nissan forklift's serial number? Where do I find my Nissan forklift’s serial number? 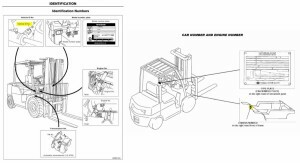 Note: This page is for Nissan forklifts only. 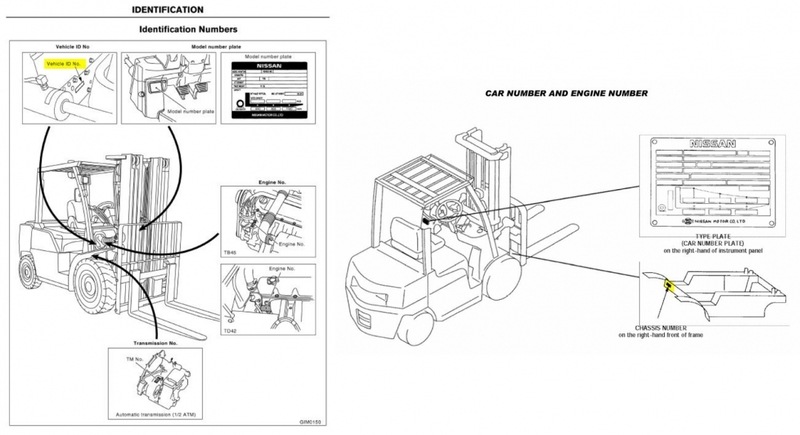 To find a serial number for a forklift of a different brand, click here for our other guides. 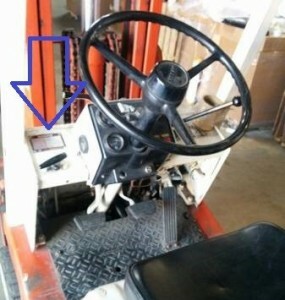 A serial number is very important when ordering the correct parts for your forklift. But what if the nameplate has fallen off or worn down? How do you find your serial number then? Don’t panic just yet. 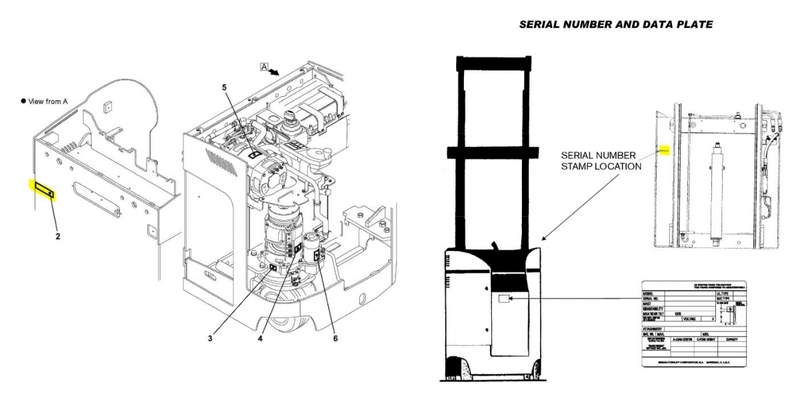 In many cases, a Nissan forklift’s serial number can be found physically stamped somewhere on its frame, if you are not able to find, just email us we will do all the “Nissan forklift parts lookup” for you and will send the diagrams. 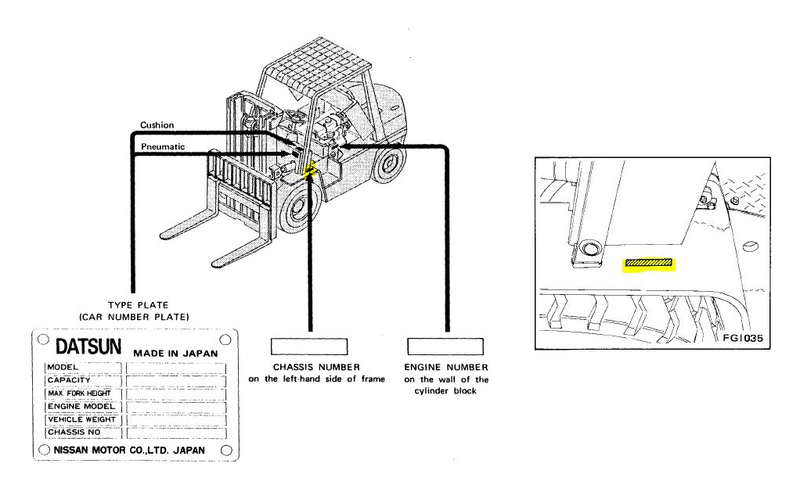 Below is a gallery of many different models of Nissan forklifts and diagrams of where their serial numbers can be found. 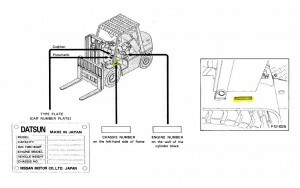 I wish to purchase replacement parts for my Nissan UB02L20U Chassis no. UB02-102096 but have no manual. Can you guide where to purchase manual. Parts needed include steering column parts, brake and motor brush parts. Hi Michael, Please contact our sales@intellaliftparts.com and they will be able to look up the parts you need for your Nissan forklift. Check out this page , it shows where the numbers are stamped into the frame. Typically even if the tag is missing the serial number will be stamped somewhere. Hi Pete, Our sales department would be happy to help you find that information. 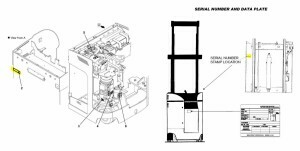 Please email over your model, serial and what you’re looking for and we will get you the part numbers you need. Please look at the data tag for more information. This is not enough info.